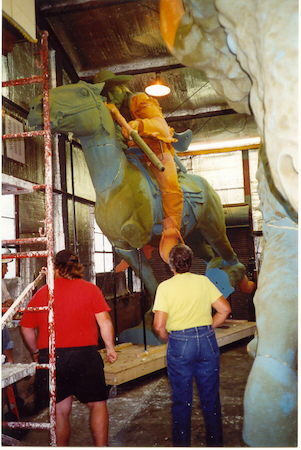 From the beginning of the Buffalo Bill project until the sculpture was put in place took six years. It had its beginning as a sketch on a napkin at a restaurant in Garden City, KS. 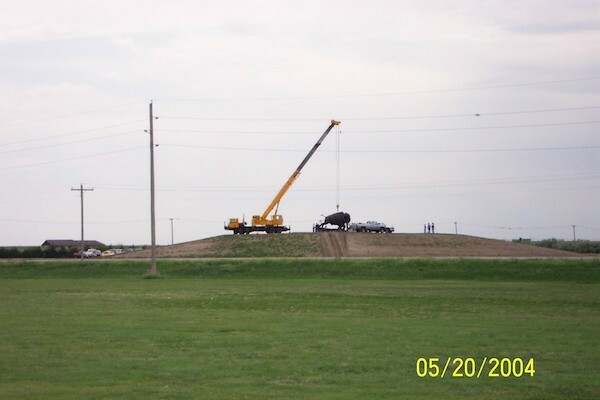 Once the monumental piece was started, it took about three years to complete. There are three sizes of the sculpture from the desktop size, the 40″ Maquette, and the monumental piece. 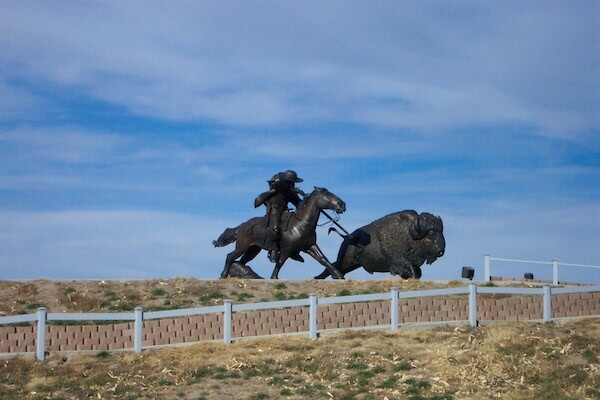 Buffalo Bill on his horse and the Buffalo weigh approximately 5,000 lbs and 4,000 lbs respectively. The sculpture was first created in clay. After it was completely sculpted it had to be broken down in over 100 smaller pieces to be cast separately. 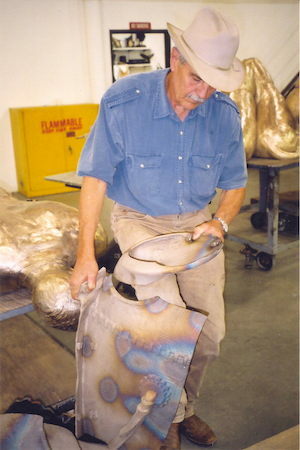 After being cast, they were bronze welded together, chased, and then the final patina was applied. 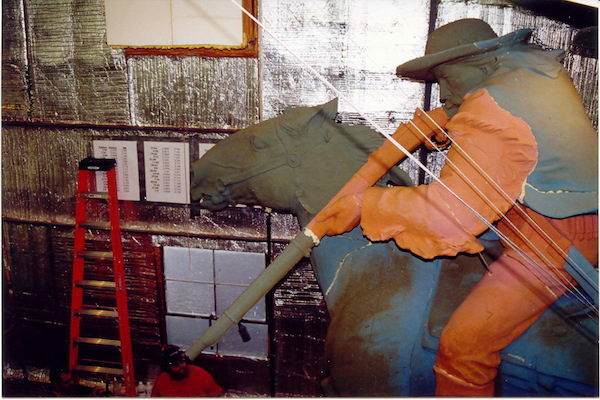 The sculpture is approximately two times life-sized with the Buffalo Bill sculpture standing 16′ tall. 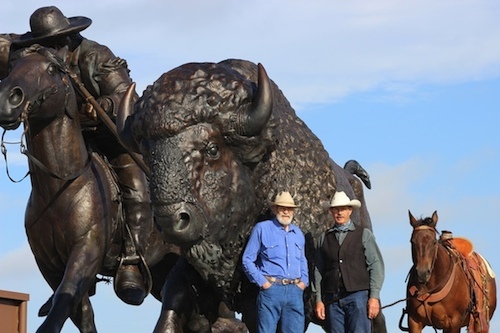 The sculpture was dedicated in May 2004 and is owned by the Wild West Historical Foundation, Inc. The Sculpture cost approx. $450,000 to build. All funding for the project has been from private contributions. After September 11, 2001, the price of metal including bronze increased dramatically. However, the Foundation had a binding contract keeping the cost of the final product at the agreed upon amount.